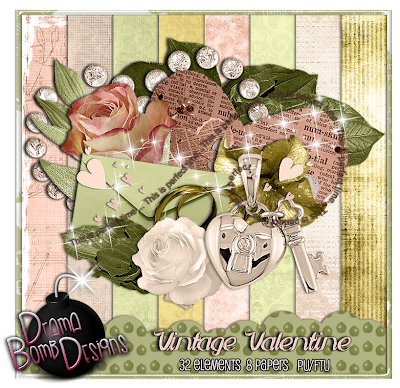 Drama Bomb Designs: Fantastically Free Blog Train "Vintage Valentine" kit! Fantastically Free Blog Train "Vintage Valentine" kit! Check out the other stops below!